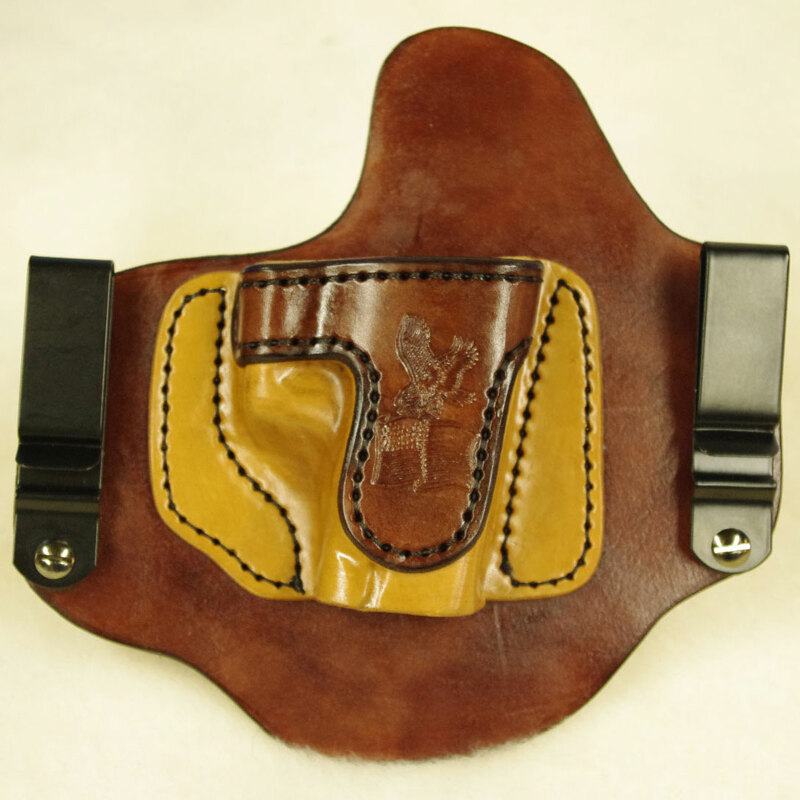 On all American Holster Company orders there will be a $50.00 non-refundable deposit made before the order will be put into the production queue. You will have the option to receive a paypal invoice, a phone call to take payment over the phone via CC, or the last option you can mail a check within one week. Orders with exotics or custom tooling will require an additional $50.00 non-refundable deposit. American Holster Company orders. When a customer orders any single accessory with a holster (mag pouch or belt) they will receive a 10% discount on their order. 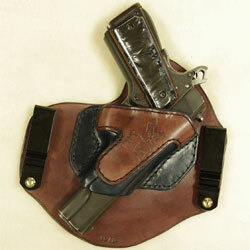 On all American Holster Company orders, leather will not be cut until the balance is paid. The customer will be notified when the leather is ready to be cut and told what the remaining balance is they will have one week to make payment or the order could be sent to the back of the production queue. This is so we can ship the order when it is finished. On all American Holster Company orders, lead time will be based on the number of orders in the production queue at the time the non-refundable deposit is made. The Minimum quoted lead time is 18-24 weeks on these orders but may be longer as the demand dictates. American Holster Company and its subsidiary First Son Leather reserve the right to refuse any order at any time without cause. Please note we are currently running (7 months or more) from order date to completion. Please understand that delivery times quoted when you order are best guess at the minimum time you will wait for delivery. We are a family-owned and run business which has been blessed with a very constant business. Our work is done by hand, and in order to make a quality product, a little extra time is needed. Any custom orders require a telephone conversation first. Please select your firearms make (manufacturer) and model below. If you do not see the make/model in the drop down, please select Not Listed. If your manufacturer is not listed, please enter it here. If your model is not listed, please enter it here. If your accessory is not listed, please enter it here. Please select your desired options below. 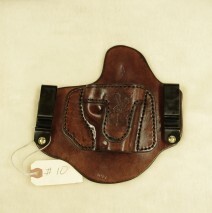 Holster pricing does not include shipping & handling charges. 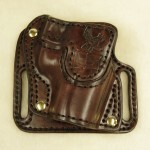 NOTE: Invisi-Tuck Extreme will only work with single stack holsters. 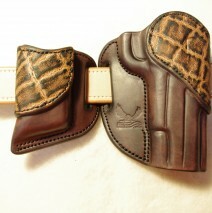 Horse Hide Back Plate can be ordered for Invisi-Tuck Extreme ONLY. Combat Cut only available on the Invisi-Tuck™ IWB holsters. You may also upload a picture of the desired artwork. *Please note: There will be an additional $4.00 per inch charge for belts longer than 54in up to 74in. 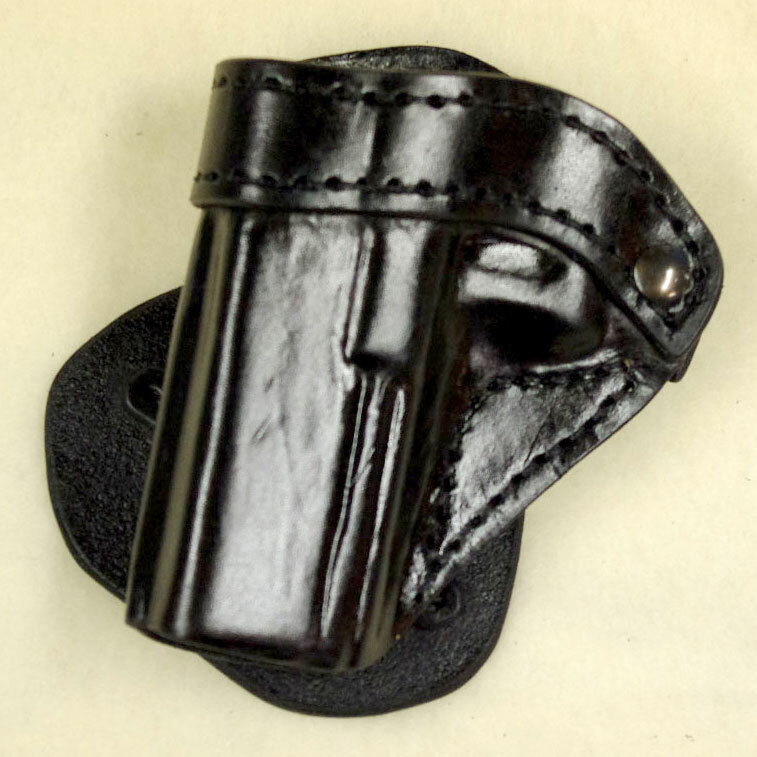 For proper belt fit with an IWB holster, add 2in to your regular belt size. Click here for measuring instructions. Please select any additional products. Enter belt size in inches (just the number). Add 2 inches to regular size for IWB carry. Click here for measuring instructions. If you have a discount code, please enter it below. Your approximate total with reflect the discount automatically. This total does not include shipping charges and my not fully reflect the cost of detailed customizations. Any discounts will be applied to you invoice once we receive your non refundable deposit. Please enter all fields below. Use your shipping address in the address field. Would you like to receive emails for new products, product updates & promotions? If you do not answer this we will assume you are ok with receiving emails from us. 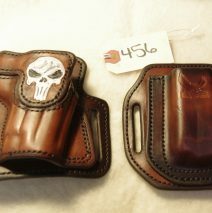 American Holster Company believes in personal protection. The security measure below is one of the tools we use to keep your data safe. Please check the checkbox below to verify that you are a real live human being and the checkbox that you have seen the lead time above before hitting submit. If you prefer to contact us directly, please call (989) 941-6242 and we will be happy to speak with you. Thank you.